Yes, you are reading that right! Stop by SIP March 8th from 6:30-8 pm and get a free glass of wine. Students from Cal State San Marcos’s Master of Business Administration program want to ask you some questions about wine. Give your input, get a free glass of WINE. 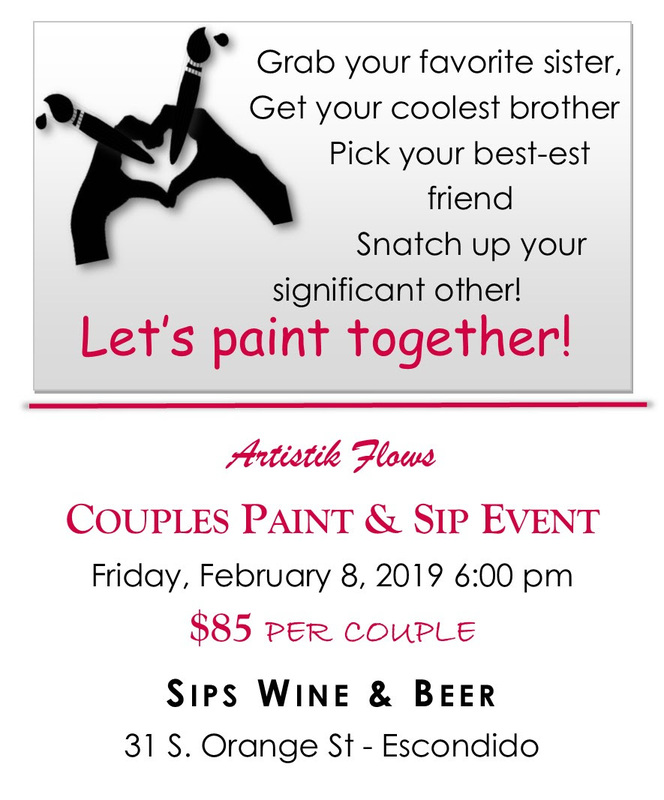 We also have a fun event lineup in store featuring SIP & Paint with live music, wine tasting events, and our popular SIP Society Saturday with DJ Entense. Join the SIP CONNECT SHARE movement and cheers to the Spring season. Our favorite DJ is back spinning Hip-Hop & R&B. 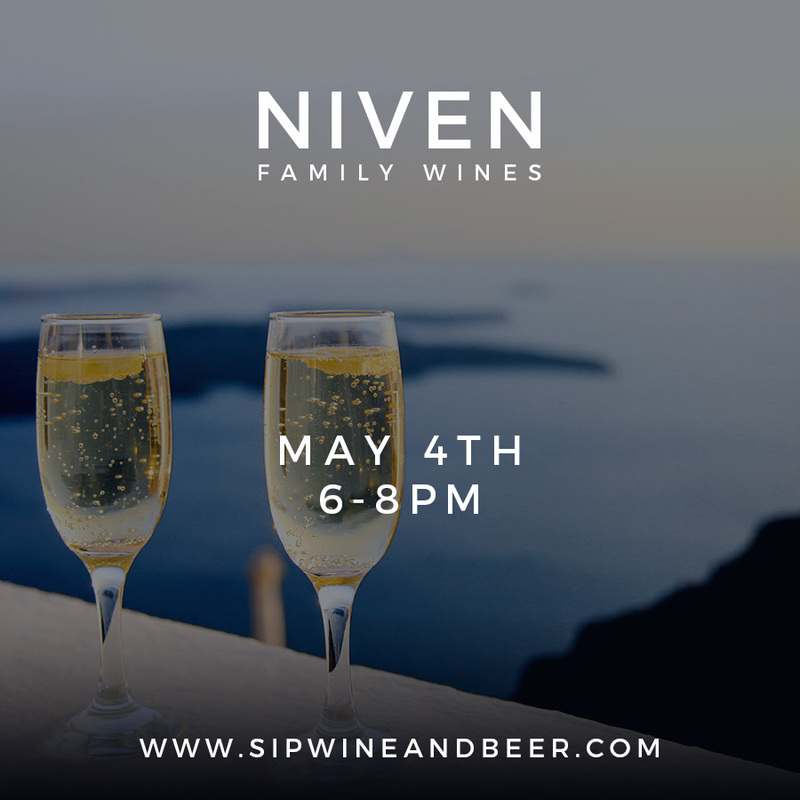 The wine will be flowing and a surprise food truck will be out front. http://www.sipwineandbeer.com/site-media/2016/03/SIP_black_large_PNG-1-300x300.png 0 0 bbyrams89 http://www.sipwineandbeer.com/site-media/2016/03/SIP_black_large_PNG-1-300x300.png bbyrams892019-03-07 17:13:272019-03-16 17:17:18Free Wine Tomorrow! We hope you enjoyed the holidays and spent time with your loved ones. 2019 is here, and we are taking the SIP, BUY, SHARE movement to new heights. With more wine to SIP and BUY, and wine knowledge to SHARE. Our event lineup for January and February include live music from Warren LaPlante, speed dating, and an art exhibit. 2019 is going to be an epic year, and we look forward to sipping with you all year long! Back by popular demand is Warren LaPlante with new music for the new year. Enjoy a night of music and a flight on Friday night. I’m blessed to see another year always look forward to celebrating with you. Good music, vibes, and wine will make this party one for the books! Are you looking for Cupid to cast its bow and arrow in time for Valentine’s Day? 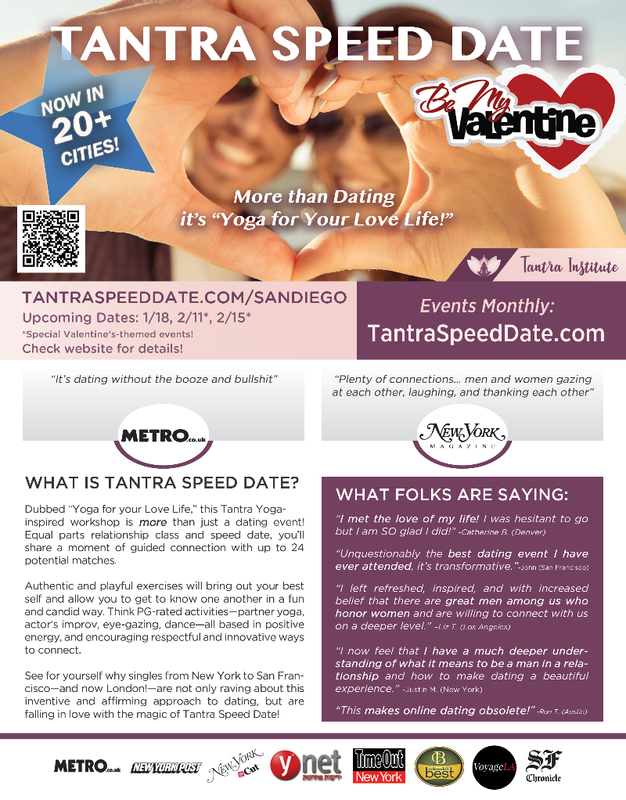 Tantra Speed Dating is hosting a “Be My Valentine” event. Visit Tantra Speed Dating for more information! 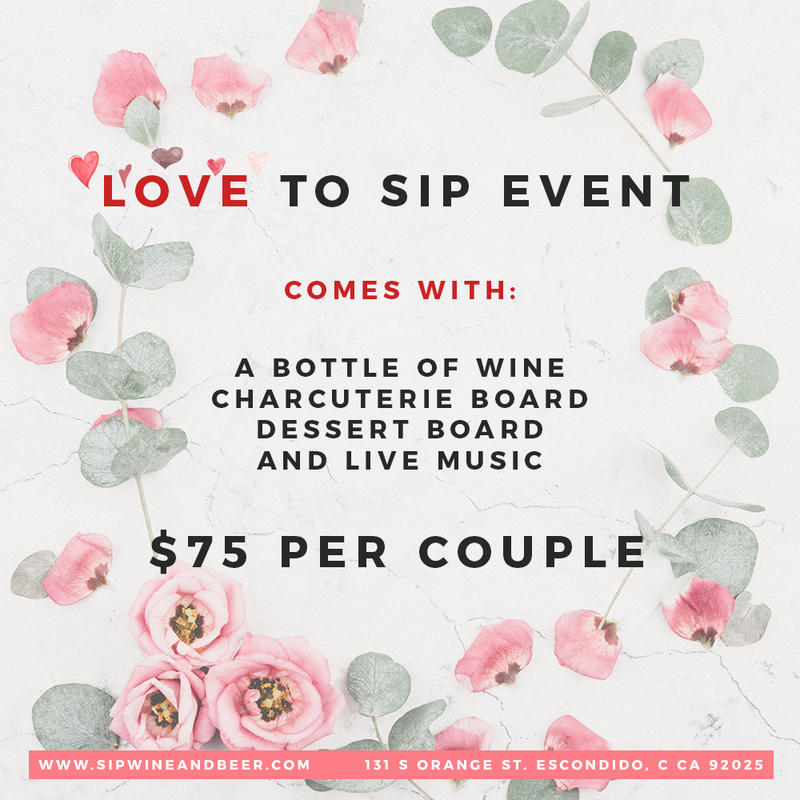 Our annual Love to SIP Event is back! Avoid the crowded restaurants, and enjoy a quiet evening with wine, a charcuterie board, dessert board and music for $75 per couple. 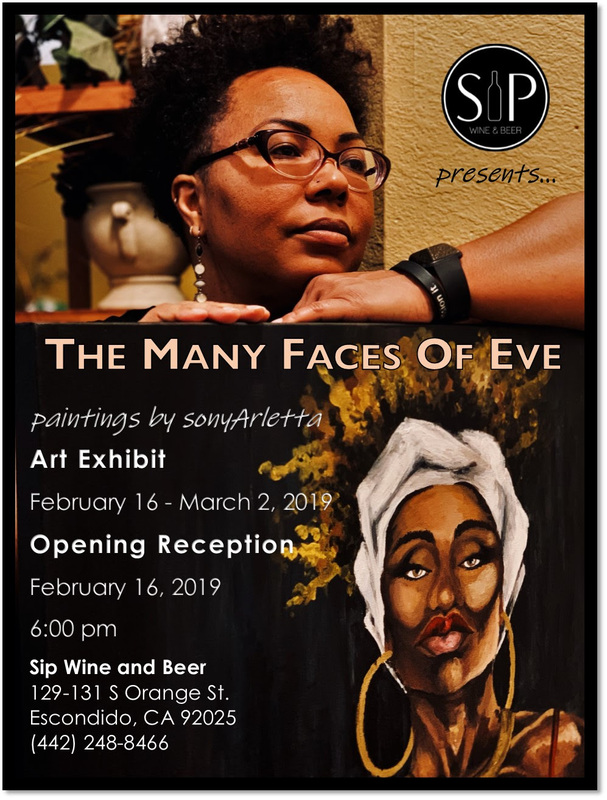 Escondido’s favorite artist SonyArletta will feature artwork from her “The Many Faces of Eve” collection. Showcased from February16th – March 2nd, Sonya’s grand opening will be epic. Fall is here and so is our new menu! We are excited to unveil new wines for the holidays. To kick off the Fall, October’s event lineup highlights the SIP, BUY, SHARE movement. Grab your friends for a night of wine, beer, and board games. Enjoy a bottle of wineover a game of Scrabble, Connect 4, or Uno. Winner gets a glass of wine on the house! Our red wine list is AMAZING! SIP.BUY.SHARE and learn about why red wines are fabulous for the Fall. Enjoy a selection of wines with charcuterie bites for $35. 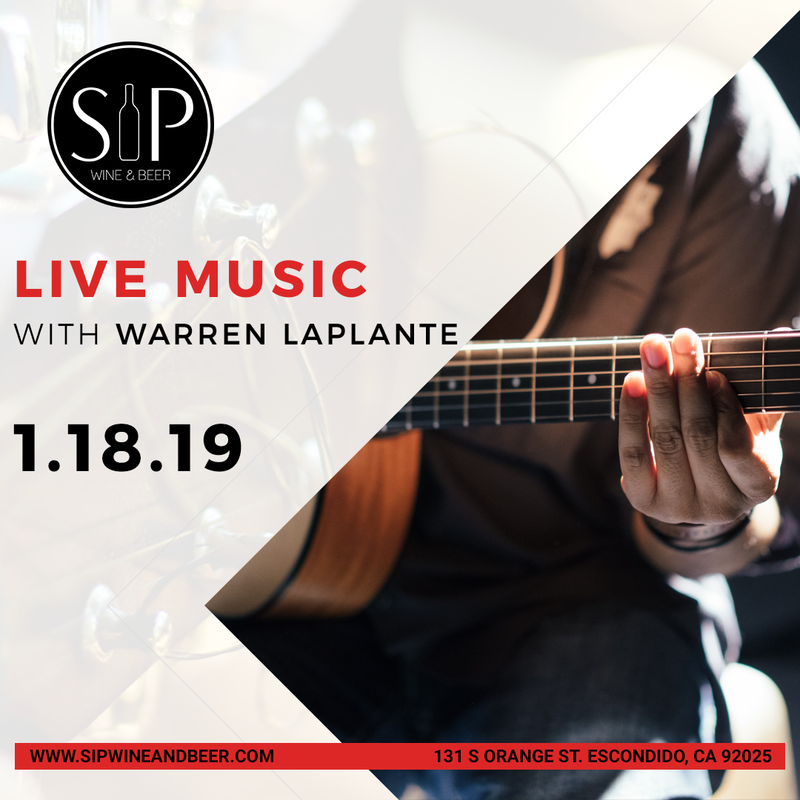 Saturday calls for great wine, great friends, and Warren LaPlante serenading you! Grab a dateor a group of friends and enjoy the vibe. 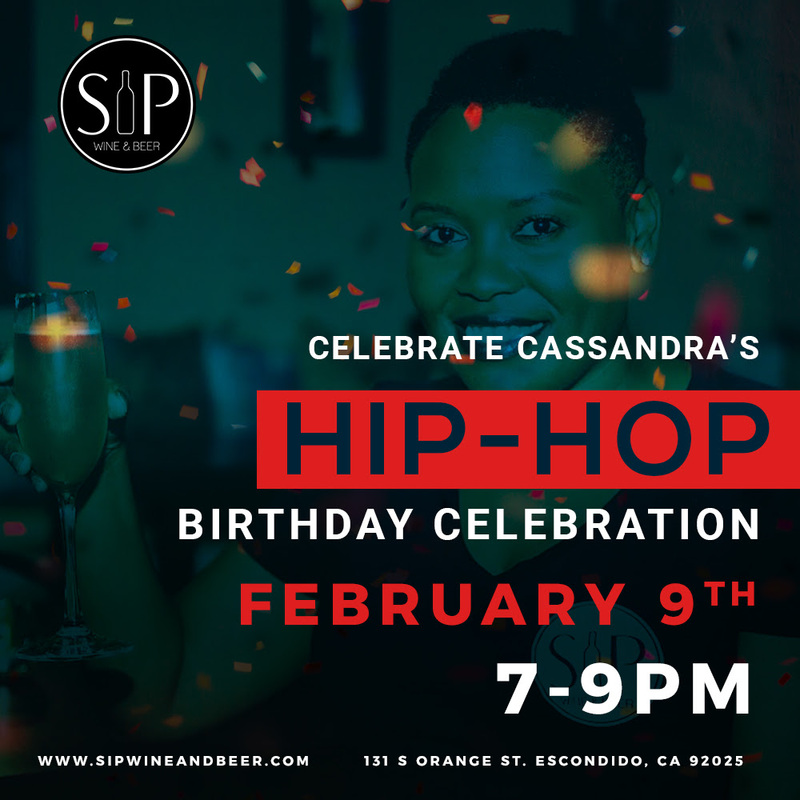 SIP is partnering with Petite Petals SD to host a SIPs and Succulents party. SIP and make a wine themed succulent. SIP is throwing an epic Halloween Party!! Come in your best costume, and vibe to sounds from DJ Entense. Rhythm’s Chicken and Waffle Food Truck will be on the scene with wine and beer to pair! 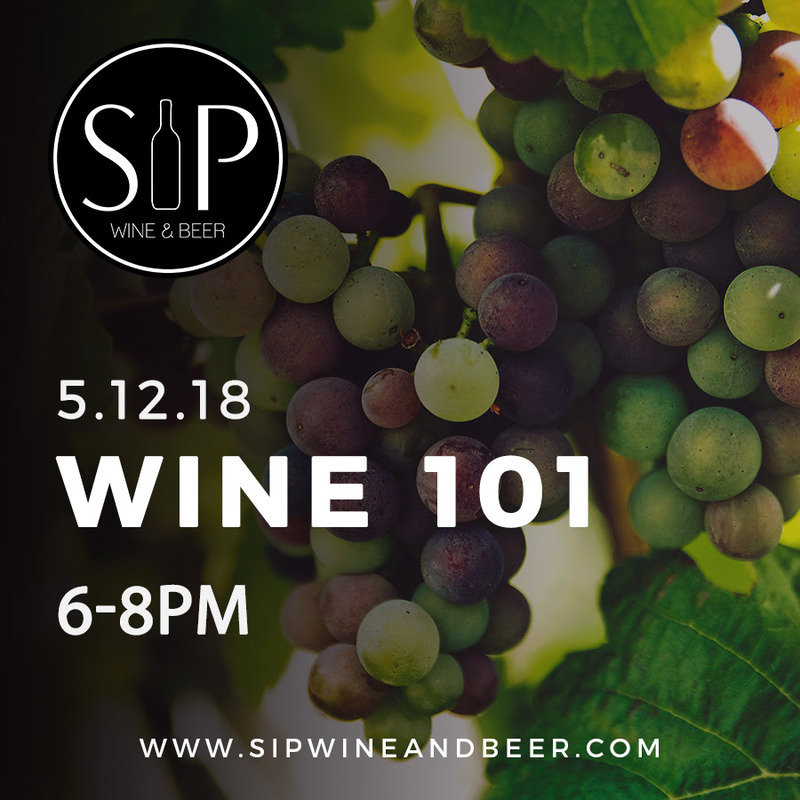 http://www.sipwineandbeer.com/site-media/2018/11/lana-abie-581814-unsplash1-1.jpg 1000 1500 bbyrams89 http://www.sipwineandbeer.com/site-media/2016/03/SIP_black_large_PNG-1-300x300.png bbyrams892018-10-01 23:44:262018-11-18 23:51:15SIP BUY SHARE in October! Let’s discover our palette in September! Fall is approaching, and the weather is great to discover new wines, sign up for a wine class, and enjoy live music. Our event lineup is packed, and we hope to see you there! Are you a SIP Society Wine Club Member? Pick up your wine this quarter and enjoy a night of wine tasting and charcuterie. 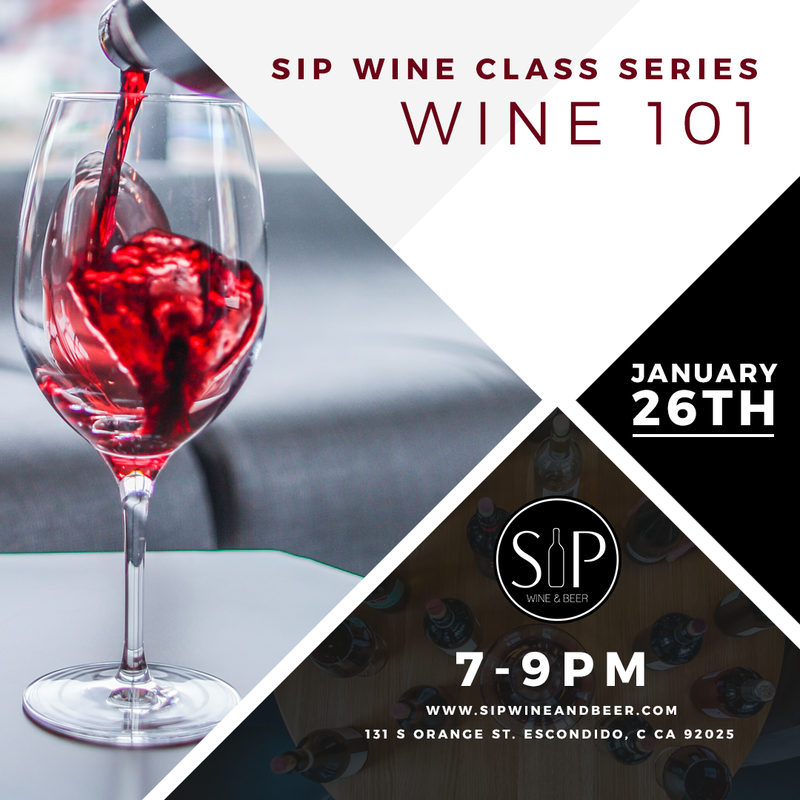 Interested in joining the SIP Society WineClub? Sign up and get a free flight! Ready to find out which wines sing to your palette? Our Wine Class Series will travel through different wines to learn what flavor profiles make you smile. SIP X Arbonne come together for Sunday Fun Day. 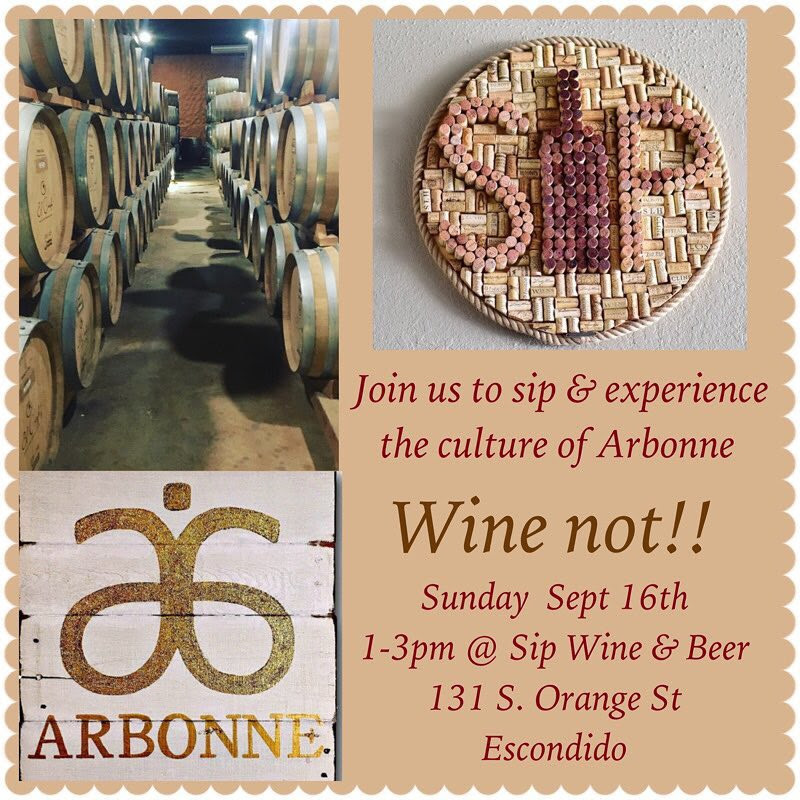 Learn about Arbonne, restock your supply, and SIP! Warren is back with his smooth acoustic sounds. Bring your friends and start the weekend off right! 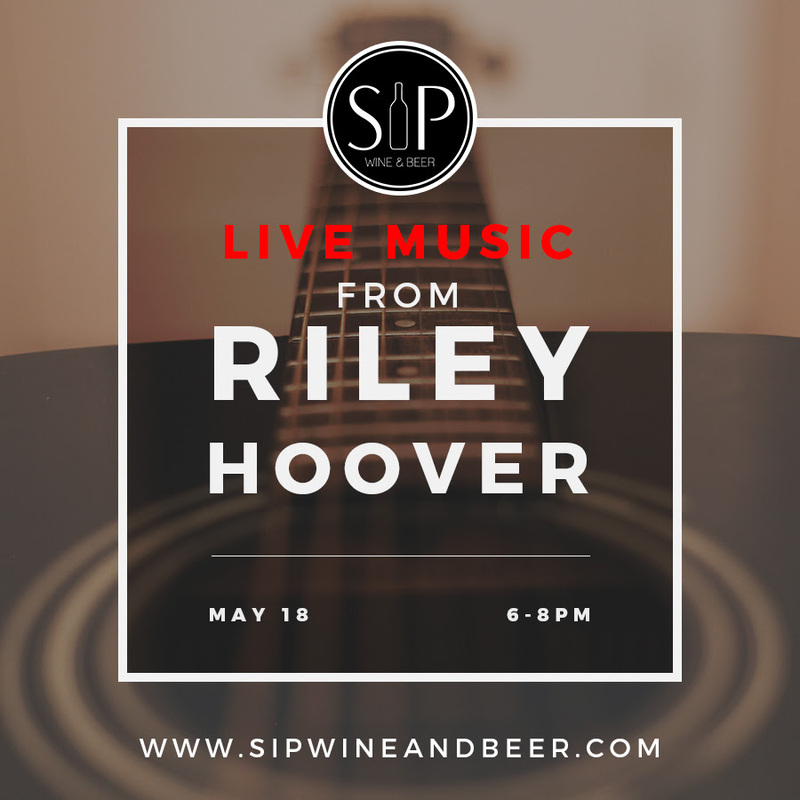 We are back with SIP Society Saturday! Taste wines from local favorite, Twin Oaks Winery, enjoy music from DJ Entense, and food from Los Bandidos! Thank you for coming out to help us celebrate our 2 year anniversary. We enjoyed connecting with you and look forward to celebrating many more years in business. With temperatures rising, we are taking some time off to relax until July 10th. When we return, we will have plenty of sangria in stock to SIP. Stop by and have a glass with us! Also, make sure you check out our Facebook page for upcoming events. Because of you, we are celebrating two years in business!!!! We appreciate your support, love of wine, and thank you for being our biggest cheerleader! Come ready to party June 23rd from 6-10pm. We are throwing a bash with surprises in store so mark your calendars. We have a fun music lineup in June so grab your friends and come by for a night of good vibes and fun. 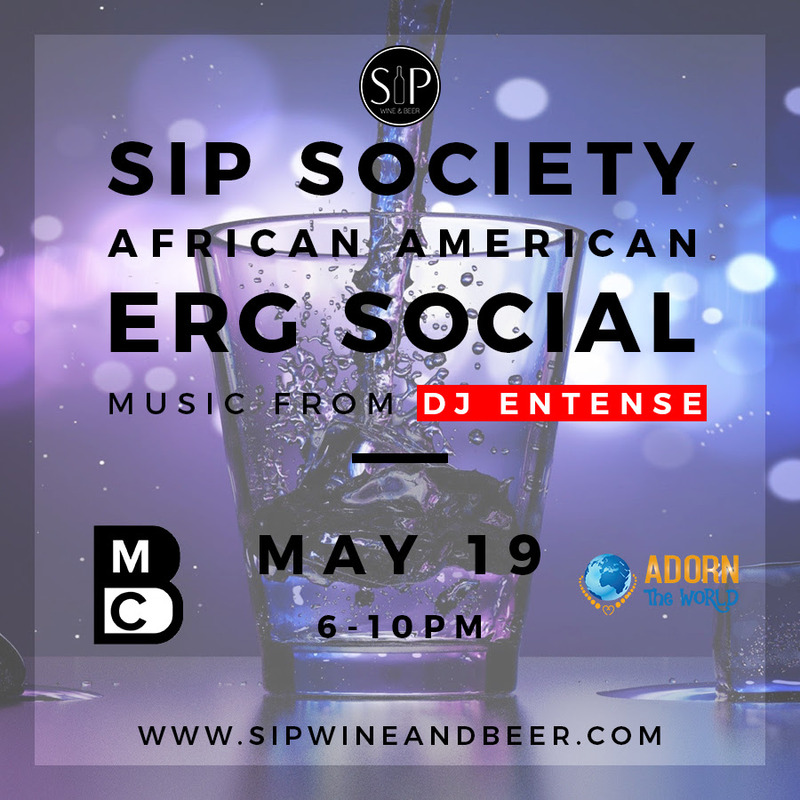 http://www.sipwineandbeer.com/site-media/2018/06/June-23.jpg 900 900 bbyrams89 http://www.sipwineandbeer.com/site-media/2016/03/SIP_black_large_PNG-1-300x300.png bbyrams892018-06-01 23:28:342018-11-18 23:39:28SIP is 2! !